Imagine there was a Food Tax which had the effect of raising food prices by, say, 17% on average. The tax revenue was collected centrally, and then disbursed to agricultural producers. That tax would be incredibly unpopular, especially in times of rising food prices. The Food Tax would be too obviously recognisable as an instrument of redistributing money from sales assistants and cleaners to wealthy landowners. The Food Tax is no fiction, of course. Ultimately, the Common Agricultural Policy (CAP) has precisely that effect. It differs from my hypothetical Food Tax only insofar as it is infinitely more complex, consisting of literally hundreds of different support instruments. There is a complex array of tariffs, quotas, and subsidy streams, each of which can, again, be subdivided into lots of different subcategories. Take subsidies. There are different types of subsidies for different types of agricultural outputs, for different types of agricultural inputs, for different types of agricultural capital goods, and for different types of services related to agriculture. Some subsidies depend on a farm’s total farmland area, others depend on the farmland area currently under cultivation, others on the farm’s livestock, others on the farm’s revenue, and yet others on farmers’ income. The OECD’s ‘PSE Manual’ [PSE = Producer Support Estimate], a basic overview of the most important categories of support instruments, has 178 pages. Working out the net effect of all these policies is impossible on this basis. However, there is a simple measure of the CAP’s total net effect on food prices, at least in a static perspective: the difference between wholesale food prices in Europe and world market prices. On this basis, we are paying 17% more for food than we would under market conditions. It is not like that everywhere. Food prices in New Zealand and Australia are virtually identical to world market prices (see table below). The reason is simply that agricultural producers in these countries are largely left to their own devices. In Europe, an average farmer owes more than a quarter of their revenue to various state support measures. In New Zealand and Australia, they have this weird, market-fundamentalist notion that farmers should make their revenue by selling stuff that people want to eat. They do what every supporter of the status quo would assure you could never work (‘the world is not as simple as your Economics textbook suggests’), and it seems to work rather well. These two countries have some of the largest and most productive agricultural sectors in the world. That has a number of economic benefits – without the removal of state support, New Zealand might never have grown its now world-famous Sauvignon Blanc export sector – but it is also an extremely cost-effective way of raising the living standards of low-earners. So surely the poverty industry is already on the case? Here’s a better alternative: the CAP should be abolished lock, stock and barrel – and not for its economic costs. A functioning economy can afford a few wasteful policies, and low food prices are not a prerequisite for a high GDP. However, a policy which allows food bills to tumble is an efficient anti-poverty policy, which is also free of all the nasty side-effects that our current so-called anti-poverty measures suffer from. What’s not to like? 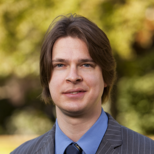 Kristian Niemietz is the author of Redefining the Poverty Debate: Why a War on Markets is No Substitute for a War on Poverty. -What else should cause it? Remember: These are so-called ‘prices at the farm gate level’ which means that cross-country differences in the structure of the retail sector, the cost of transportation, storage, packaging, marketing etc is already automatically controlled for. With that in mind, why would there be a price differential for a readily transportable commodity? Under market conditions, such a situation would invite arbitrage, and a swift equalisation of prices. The data sources are referenced in the book itself. Let’s add ‘abolition of the CAP’ to the UK’s wish-list as we teeter towards ‘negotiations’. From time to time there are promises of ‘reform’ to the CAP, but they never seem to amount to much. It’s a pity that the prime minister is implying that, even if he fails to gain more than a few very minor changes to Britain’s relationship with the EU, he will still be recommending a ‘Yes’ vote to staying in the EU. What brutal negotiating tactics! to be fair to the EU, there has been some reform of CAP and it has moved in a less trade distorting direction. But this strengthens the case for moving all farm support to the state level (if we have it at all). There is no longer a case for a centralised EU agricultural policy. Its not in the power of our government to abolish the CAP. Even reform is extremely difficult due tot he position of France, etc..
What is the legal position about the UK simply withdrawing from the CAP (and the CFP)? Do we have to continue to participate in this folly? Philip – judging by EU politics in general, I would say that the CAP has been reformed just enough to answer all but the most trenchant critics but without harming the real substance of the policy. The Common Agricultural Policy is allowed to happen because the European Union is almost as anti-democratic as North Korea. At the very least the article is confusing different components of the CAP. A lot of the article is about subsidy to producers, but subsidy to producers should push costs down and decrease food prices. The cost is paid by the payments by EU member states into the CAP budget via the EU. The things that would push prices up are: a) preventing food imports from abroad into the EU; and, b) placing quotas on how much producers in the EU can produce. If there is a potential arbitrage between world prices and those in the EU, then only import tarifs on foreign-produced food would prevent importers from arbitraging it away. I would still be in favour of ditching the CAP subsidies and import tarifs, but we shouldn’t mix up the economic effects of different policies. I’ve adopted the usage from the OECD manual, where the term ‘producer support’ is used to denote not just cash subsidies but also the monetary value of a protectionist measure to producers. So if the world market price of something is €100, and thanks to a tariff, you can charge €110 for it, then producer support is 10%, even if you never receive a cash transfer from the government. It’s not primarily about cash subsidies, that is just an add-on. Now that I think of it, its not self-explanatory though. Kris, so does that mean that the numbers in the article actually understate the cost to EU consumers, since the tax charged to EU citizens to fund the subsidies aren’t included? Eg, taking your 100 euro example, plus the farmer gets a cash subsidy of 5 euro and so could sell at 95 but charges 110 so actually the additional cost to taxpayers and consumers is 15 euro? Andrew, for the 17% figure, that’s exactly right. The OECD manual treats consumers and taxpayers as distinct groups. So you could say, that is the cost of the CAP to somebody who buys food, but who pays no taxes. The figure for state support for producers in % of their revenue contains both, the transfer from consumers as well as the transfer from taxpayers, so in your example, that would be the full €15. That explains the Australian figure: Australian farmers receive a little bit of state support (4% of their revenue), but Australian wholesale food prices are almost identical to world market prices, which means that the 4% must consist almost exclusively of cash subsidies. Your desire for CAP reform is admirable, but the argument in your post is based on a misunderstanding of the OECD PSE/CSE database figures (accessible here http://www.oecd.org/agriculture/agriculturalpoliciesandsupport/producerandconsumersupportestimatesdatabase.htm) and indeed it is hard to find the figures that you quote for the EU in the database. Your focus is on the costs of the CAP to consumers. This is calculated by the OECD in two ways; the percentage Consumer Support Estimate (% CSE) and the Consumer Nominal Assistance Coefficient (NAC). The % CSE is the implicit tax on consumers resulting from market price support less any transfers due to consumer subsidies. The Consumer NAC is the ratio between the value of consumption expenditure on agricultural commodities (at farm gate) and that valued at border prices (measured at the ratio between the value of consumption expenditure on agricultural commodities (at farm gate) and that valued at border prices (measured at farm gate). Both indicators tell the same story, that protection due to the CAP has fallen dramatically, in part due to successive reforms of the CAP, and in part due to the rise in world market prices. The % CSE’s for the last three years measured by the OECD are as follows: -6.82% in 2009, -3.33% in 2010 and -2.01% in 2011. Thus consumers have been taxed by between 2 and 7% by the operation of the CAP during these three years, and not 17% as you suggest. This is confirmed by the Consumer NAC which is 1.07 in 2009, 1.03 in 2010 and 1.02 in 2011. Most expenditure on the CAP now goes on direct payments, which raise farm incomes but which are paid for by taxpayers and not by consumers. There is indeed little justiication for these continued transfers to farmers, but the burden on consumers is no longer a convincing argument to attack the CAP. the 17% figure is an average for 2000-2010, that is why you cannot find it in the database. It is the Consumer Nominal Protection Coefficient for the EU (the NPC; but the NAC figure is about the same). I used an average to even out the variation that results from fluctuations in world market prices. But you’re right, the CAP is no longer as bad as it used to be. @Kristian, thanks for the clarification that your figure was calculated over a decade which explains how we look at the same data and get different results.